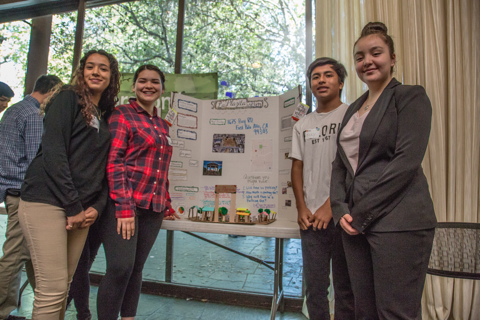 A group of young scholars from the East Palo Alto Phoenix Academy (EPAPA) have had a busy summer. 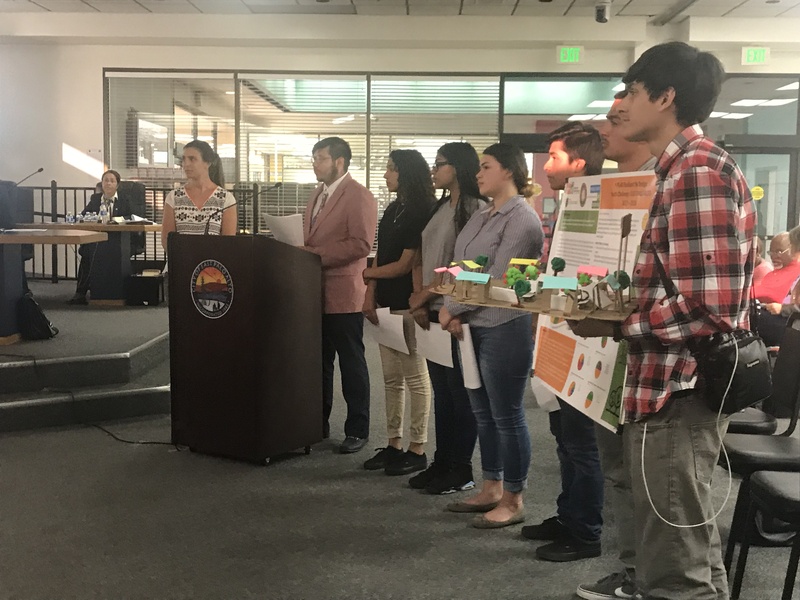 After wrapping up their spring Y-PLAN project in June, seven representatives from the class presented their findings and recommendations for improving community resilience to their City Council, Mayor, and City Manager on July 3rd. Since that time, fourteen EPAPA students have completed a paid summer internship collecting housing data for a UC Berkeley housing study with Professor Karen Chapple’s Urban Displacement Project, which culminated in a roundtable presentation at the Facebook headquarters on August 2nd. As EPAPA is being forced to close its high school due to declining enrollment, driven in large part by the displacement of low income families from their city due to gentrification and the influx of tech companies, these students surveyed the conditions of more than 2,700 housing units, and conducted interviews with neighbors, families, and friends, to provide a more complete picture of the existing state of housing in EPA. that overcrowding is a serious issue throughout the city, with implications for both housing and transportation as more cars per house are on the roads and sidewalks are blocked by parked cars. Adding their own lived experience and local knowledge to traditional best practices in surveying housing conditions, they noted signs of eviction, living in garages, and overcrowding in homes, and were even able to get more information during their survey as residents would come out of their houses to offer additional insights into the extent of the overcrowding in their property. Students offered their own personal stories of rising rents, forced relocations, large families living in one room apartments, and multiple families living in individual units, as well as their own experience with the impact of their own school closing, forcing them to find alternative schools, and the transportation to get there. "I live in a 4 bedroom, 4 bathroom house and a family lives in the garage. In total, there are 5 families in this house." "There was at least 14 people living in the house we lived in so there was no parking on the block." "I decided to move to Arizona, because rent was so high in East Palo Alto. Arizona was affordable and gave me more opportunities for my family and I." For recommendations, students returned to many of their Y-PLAN proposals from the spring, now armed with more data to support their own knowledge of life in the community. They recommended affordable housing, in a range of sizes and purchase options to meet the needs of the traditionally large families in EPA. They recommended a Plazita to stimulate the local economy and provide a gathering place for the community. They recommended education, outreach, and improved communication to prepare adults for the workplace needs of the future and improve relations between tech companies and residents. 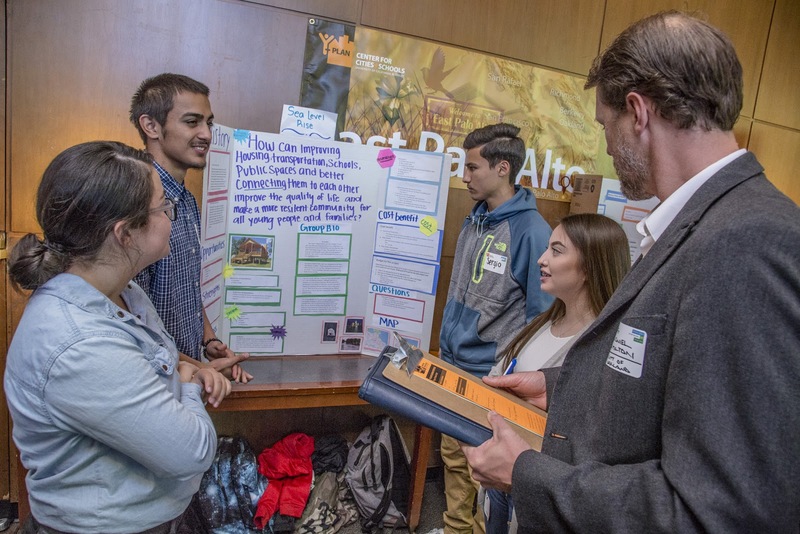 Students presented their work three times over the course of four months: at UC Berkeley for the April Y-PLAN Resilient by Design Regional Summit, at their City Council meeting in July, and at Facebook headquarters in August. With each presentation, their research grew, their analysis deepened, and their confidence flourished. Still, each event ended with the same conclusion: EPA is about the people, and if the people living there are displaced, whether by natural disaster or gentrification, nothing else matters. Up next for this project is a new Y-PLAN project at EPAPA this fall with many of the same students from the internship, as well as brand new internships with students from Belle Haven and North Fair Oaks with Professor Karen Chapple’s Urban Displacement Project.